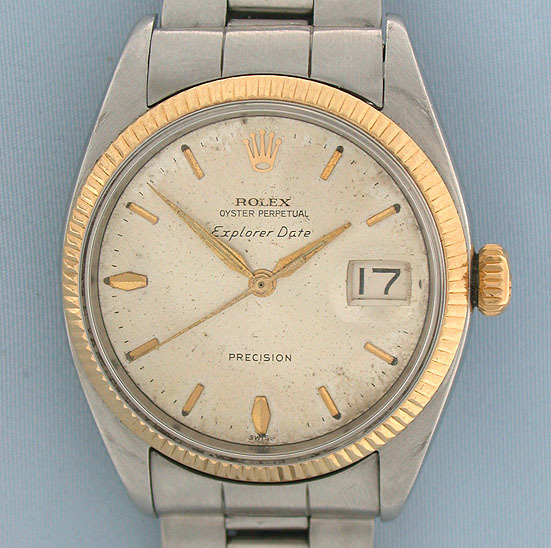 Early Rolex Explorer Date stainless and 14K gold vintage wrist watch circa 1960. 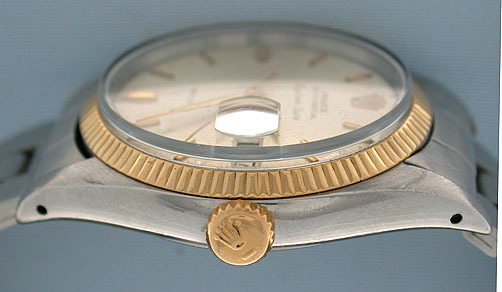 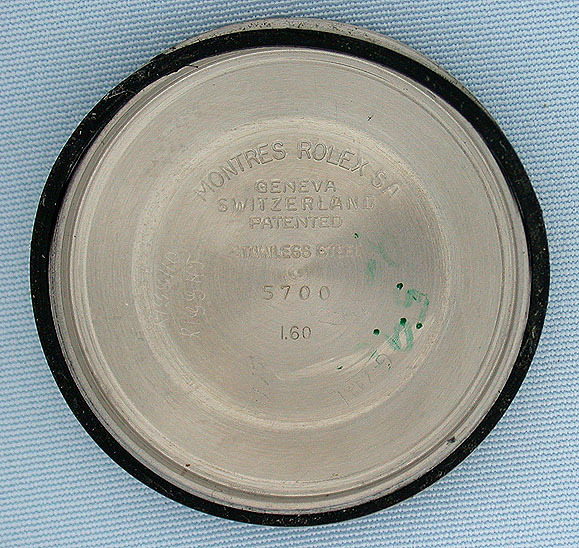 Original early dial with attractive aging. 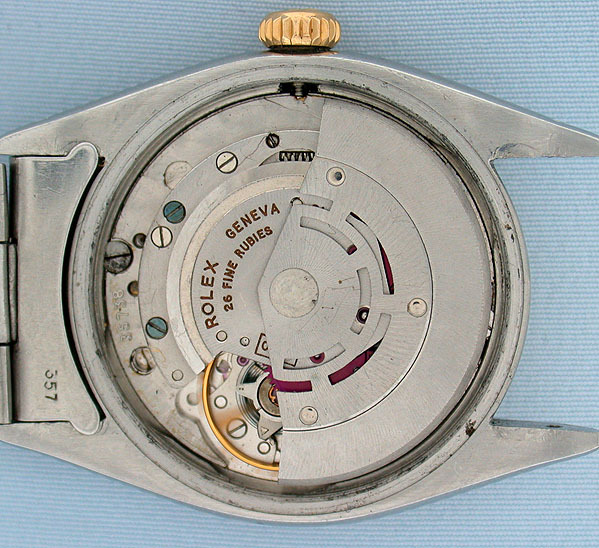 (Made before Rolex started using black dials on Explorers). 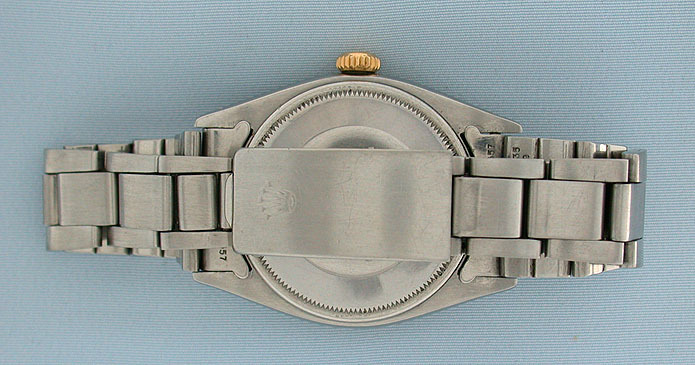 Reference 5700/5701 with 26 jewel calibre 1530 movement.